Artist’s rendering of latest PAC concept. SOMETIMES IT TAKES the right person to promote an idea before it takes hold. Last fall, Tourism Kamloops CEO Beverley DeSantis was shopping around the idea of a Kamloops convention centre. Kamloops was missing out on a lot of business, she said, because the city couldn’t accommodate major conventions. I wrote an editorial in October pointing out that DeSantis was relatively new to town and wasn’t aware of the history of convention-centre proposals here, and maybe not aware of the white-elephant history of convention centres in general. I noted that the Penticton Trade and Convention Centre, Vancouver Convention Centre and others are notorious money pits. The concept didn’t exactly catch fire. The group promoting Performing Arts Centre version 2.0 completely ignored it when it unveiled its proposal to City Council in January. But now, DeSantis is talking about the benefits of combining a convention centre with a performing arts centre. She says such a facility could be used by the entire community for a wide variety of events and it might get broader support among voters. Maybe, but the big advantage of a combined facility would very likely be in the business case. It stands a better chance of not needing public operating subsidies than either a stand-alone PAC or convention venue. So, go for it Beverley DeSantis. You’ve got the Armchair Mayor’s vote. I’m Mel Rothenburger, the Armchair Mayor. Mel Rothenburger is a former mayor of Kamloops and newspaper editor. He publishes the ArmchairMayor.ca opinion website, and is a director on the Thompson-Nicola Regional District board. He can be reached at mrothenburger@armchairmayor.ca. The proponents of a PAC should all study the example of the Birmingham Symphony Hall, which intriguingly enough began as the Birmingham International Convention Centre (talk about ambitious – and that’s revealing). Three things mark their triumph: innovation, clever financing and a no-compromise desire to have the best acoustics in the world. They achieved all. Personally, I lean to a true multi-purpose arts centre over a magnificent hall, but if that’s what’s wanted most then let the proponents learn from about the best example anywhere. What are also needed are champions, deep public participation and imagination. Just beware the Trojan horse of excessive staffing, meaning jobs for arts enthusiasts, leading to crippling operating costs. I’m a sceptic (full disclosure – I love dance and chamber music), so get on with it and sell me. We all need something exciting in these muddled times. Let’s drop the tired PAC word, think bigger and get the gusto going. As long as local arts bookings take precedent over conventions, I’m in! Using our new PAC space for other uses would lessen the financial load on annual operating costs. Great idea. Wish I’d thought of it. I love it! I think this is a great way to increase usage and revenue, too! I hope that all seniors who enjoy the Theatre and the Symphony will get on board with this … I see a lot of silver hair at most of the performances … your voices will count! Regina is home to the Saskatchewan Centre of the Arts. Saskatoon has a similar facility for the northern half the province. I’ve been in both of them for concerts and conventions. Great venues! The Saskatchewan Centre of the Arts houses the Main Theatre (seating 2031), Convention Hall (seating 1400, 1000 for banquets), Hanbidge Hall and Jubilee Theatre; and various conference rooms and lobby display areas. Main Theatre, with three balconies, has a large stage whose front lowers hydraulically to form an orchestra pit for 100 musicians. 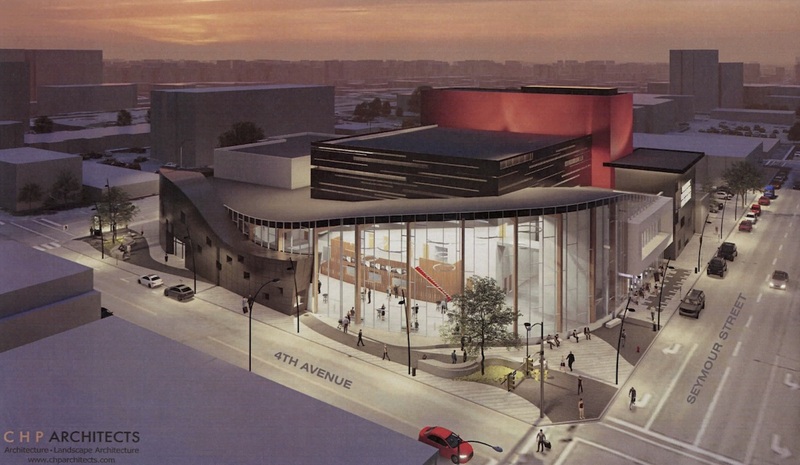 The Saskatchewan Centre of the Arts faced the same opposition as Kamloops is now experiencing. Once in place however, the community would lynch anyone trying to close them down. I am confused. Your idea of a conversation centre/arts centre did not catch on. Now the same idea is a great new idea and not only will catch on but it will make money unlike all others semi-similar venues? A combined venue would have the advantages of operational efficiencies and higher usage. For example, the theatres could be used for large conventions as well as performing arts so would be vacant much less of the time. You’ve got my vote too.